2010 Cheese Puff Previews: Arkansas St.
That’s right, folks, your favorite air-injected, chemically-enhanced, unnaturally-orange Auburn football opponent preview series is back for another year, one that I swear is going to make it past Week 8 this time. For newish readers: this is a week-by-week preview of Auburn’s 2010 opponents. But since you can find straightforward overviews in a half-dozen magazines and a ton of places across the web, these are a little more … disposable. Light. Cheese-puffy. What the logo tells us about their football team: Dude, it looks really cool having those white-out clip-on sunglasses or whatever on the wolf, but how’s he able to see? That’s how you end up with a 10-to-12 TD-to-interception ratio with a four-year starter at quarterback, isn’t it? What happened last year: The Red Wolves entered 2009 as one of the (if not the) principle challengers to Troy’s dominance atop the Sun Belt, thanks in large part to the aforementioned quarterback, Corey Leonard, the preseason co-Sun Belt Offensive Player of the Year. Didn’t work out like that, though. The air went out of the balloon after close calls against Troy and Iowa, with Leonard flailing and getting benched, ASU falling to the highly iffy likes of UL-Monroe and a Rusty Smith-less FAU, and the season ending in a 4-8, 3-5 SBC disaster. Head coach Steve Roberts–still without a winning season in eight seasons–is now on as hot a seat as seats can get in Jonesboro. What happened the last time these teams met: Excited by his Hogs’ win in Jordan-Hare earlier in the 2006 season, Arkansas-bred bajillionaire Jerry Jones promised to pour millions into Jonesboro’s declining downtown, creating a new shopping-and-dining district called “Jones’ Borough,” if the then-Indians could inflict further humiliation on the Tigers. Unfortunately for the good people of the city, Auburn rolled to a 29-0 Homecoming victory. What actually happened between them: Auburn won 27-0. The 2006 meeting is the only one between the two schools to-date. Also, I don’t think Jones gives the first crap about ASU. 1. They wear black helmets and potentially even all-black uniforms, so you know they’re bad-asses, like the Atlanta Falcons under Jerry Glanville, back when they had Neon Deion and Aundray Bruce had that one good year month and the run-and-shoot was going to revolutionize football. They’re totally going to be just like that. 2. There aren’t going to be very many offensive lines that can even hang in Auburn’s neighborhood for offensive line experience, but here’s one: ASU returns all five o-line starters and four of them are seniors. Should be a nice appetizer of a challenge for Hot Carter, Mike Blanc, Nick Fairley, and Co.
1. They’ve hired a new offensive coordinator, Hugh Freeze, who’s installing the spread. This is mostly bad because as any Auburn fan can tell you, the transition from non-spread to spread is not easy, and it will not be easier for having a new quarterback, new running back, new No. 1 receiver, etc. However, it is also bad for Freeze having gotten his start at the collegiate level on Ed Oregeron’s staff at Ole Miss, and these days, is there anything Ed Orgeron has touched that hasn’t turned to ash? Besides the YAW YAW song, anyway? 2. I thought at first maybe ASU might get some positive karma for having abandoned their previous politically incorrect “Indians” nickname for a species trying to make a comeback from total extinction in the wild, but I think they pretty well destroyed any chance of that by beating hapless Texas Southern 83-10 in Week 2 of 2008, just after adopting the new nickname. At that point they were 2-0 with a win over Texas A&M under their belt. Since then they’ve gone 8-14 despite having their best two teams on paper since the SBC champs of ’05. The moral: don’t beat up on cash-strapped SWAC teams. What tidbit I found most interesting in their associated Wikipedia pages: Among ASU’s famous alums is poet Miller Williams, who in addition to being pretty damn good is the father of someone you’ve actually heard of, Lucinda Williams. What I actually think about this match-up: Some credit to Roberts and his program: their track record against BCS competition isn’t half-bad. The upset of A&M isn’t all that far in the distant past, and they’ve put some legitimate scares into good teams like 2007 Texas and 2009 Iowa. 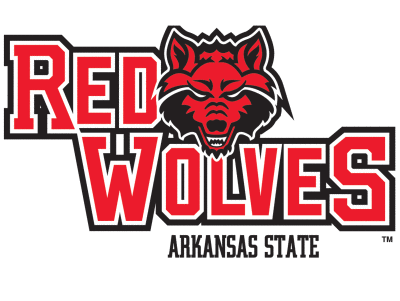 If this looked like a vintage Red Wolves team, I’d give them a solid shot at hanging with Auburn for a few quarters, maybe even a distant shot at the upset if Newton came out and tossed a few picks. But even if he does that, it’s not going to matter against this particular ASU team. Leonard’s gone, the wideouts are gone, the defensive line is gutted, the secondary looks mediocre even by Sun Belt standards, everyone important on special teams had graduated. Even a terrific Sun Belt team wouldn’t have particularly good odds against Auburn in J-Hare; the Red Wolves are not going to a terrific Sun Belt team. Yeah, they might be a better SBC team than expected; with Roberts coaching for his job and any and all assumptions about the Sun Belt other than “Troy wins” so incorrect over the past few years, it won’t be a shock if they wind up in the upper half of the conference. But that’s not enough to think they’ll do more than give Auburn a good workout. If the game remains competitive for longer than a few series into the second half, that will be a shock. Probably also worth noting that Hugh Freeze was Michael Oher’s High School coach and ended up at Ole Miss 20 Days after Oher did. This is my first time posting. I just “discovered” your blog last week. It’s AUsome!!!! I haven’t even read this article yet. You got me with those player profiles. Great idea. Just jumping in to say thanks. War Eagle. bigdawgAU… welcome to the club! You’ll definitely enjoy reading all of Jerry’s work. I know it was a blessing to me when I discovered the old Joe Cribbs Car Wash (what WBE used to be known as). Kevin’s post about Oher’s coach going to Ole Miss on the heels of Oher’s enrollment, plus the (essentially) same situation with Gustav on Nutt’s staff at Arkansas begs this question: How often does this sort of thing happen, and has it happened at AU? In my opinion (even if it turns out it happens regularly at AU): it’s skeezy, and I can’t believe the NCAA doesn’t treat it the same way it treats a coach/booster/university giving a recruit’s parent a job in exchange for his committment. I suppose the counter argument, at least in Gus’ case, is that he was a star in the making and deserved a shot to coach in college. I just wish that shot wasn’t so closely associated with Gus’ stud recruits all committing to Arkansas. Hate going off-topic, but I hope you’ll post at least once more on the World Cup. I’m guessing you have thoughts on Bob Bradley and Ricardo Bleeping Clark. bigdawg, glad you found us and gladder you like the site. Stick around; in-season stuff is better than the offseason, I think most of us would agree. Re: hiring coaches to win recruits, it doesn’t happen all that often in football–Malzahn’s really the only guy I can think of off the top of my head, not knowing about Freeze. But it’s a major problem in hoops recruiting and the NCAA hasn’t had much success in stamping it out; there’s no way to PROVE a given coach is being hired just to deliver a recruit, is there? I think it’s one of those things we just have to have presidents and A.D.’s take an ethical stand against and prevent from happening at the school level. I’m not aware of it happening at AU, but I’m not totally familiar with Smith’s/Eagles’/Ellis’s staffs. I’d be surprised if it’s ever happened with the football team. John, sometime the next couple of days. Yes, I have thoughts on Mr. Bradley and his decision to start Mr. Clark. They are not happy ones. ASU will just be a warmup, and chance to see the young guns perform. Netherlands vs. Brazil!! whoo hoo! you have got to write a pregame on this one… Go Orange!